Lucy Griffiths was originally set to play the female lead Liv on NBC's DC adaptation Constantine, but she only ever made it as far as the pilot episode before being replaced by a character from the comic books. Now, executive producers David S. Goyer and Daniel Cerone are claiming that they may bring her back in Season 2. Liv, an original character created for the sole purpose of the new series, wasn't exactly liked in her inception, which had nothing to do with the actress playing her. David S. Goyer and Daniel Cerone both felt the role had been underwritten, and in turn was underwhelming. To rectify the situation, they decided to bring in Angélica Celaya as fan favorite and former Constantine lover Zed, who was part of the original Hellblazer comic book run. David S. Goyer and Daniel Cerone now think there might be a future for Liv on the show, and claim to have always left an opening for the character's return for this very reason. "In terms of whether she'll be back, she's part of the foundation of the show, As we dig deeper into the season, as we start talking about possible arcs for next season, there's an opening there. If there's an organic reason to bring her back into the story, we'd love to." "The character was flawed in its conception, and obviously we're to blame for that." 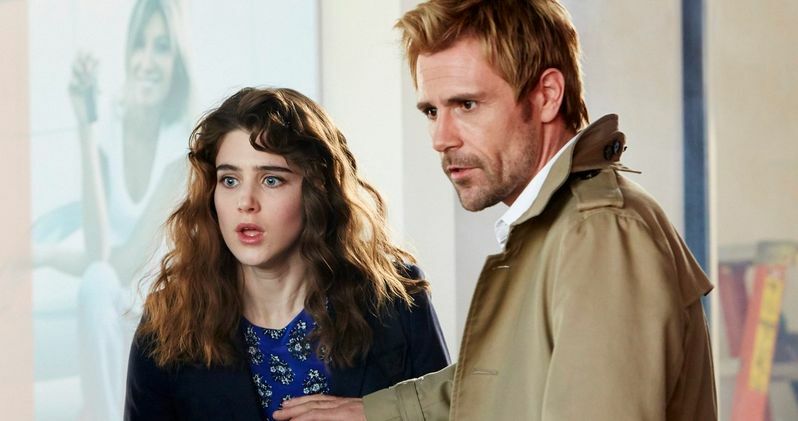 Of course, Lucy Griffiths' return hinges on Constantine being picked up for a second season, which hasn't happened yet.